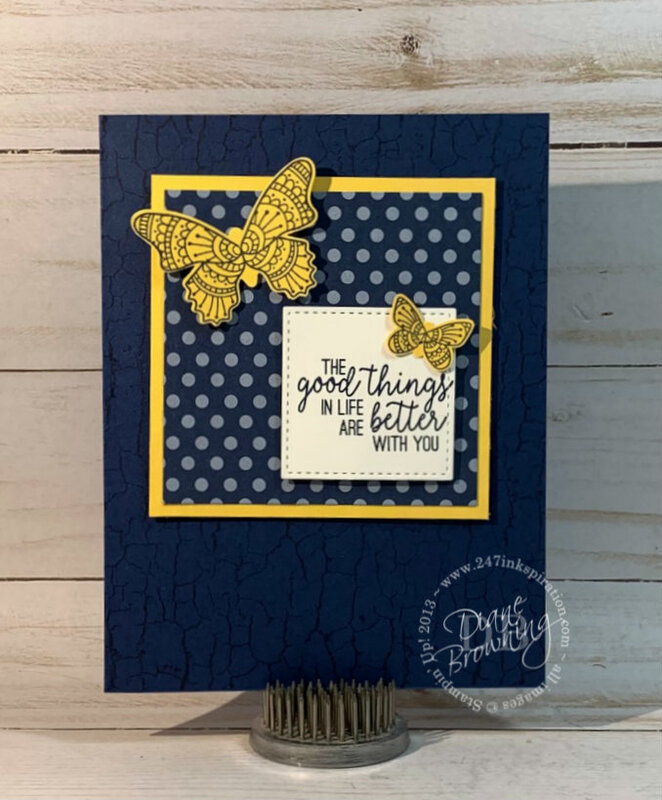 Today is the day I leave for Stampin Up’s OnStage event. This is our Demonstrator only convention. 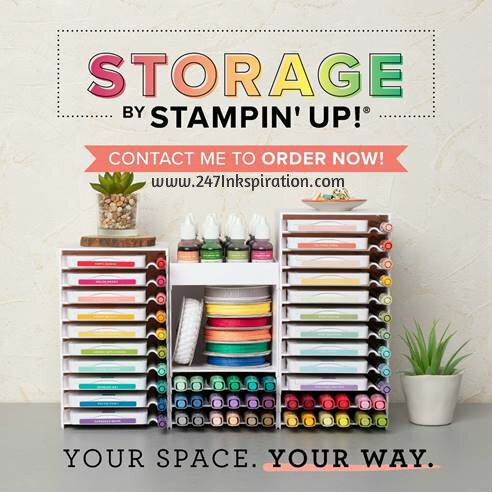 This time, Stampin Up is hosting it in half a dozen cities around the US and Canada. Usually several of us from my Downline Group attend together. This time, it’s just Poli and I headed to Salt Lake City and Lyndi will be attending it in Atlantic City. I wish we could all attend together, we always have such a great time at these events. Poli and I couldn’t get away long enough to make Atlantic City worthwhile, and Lyndi is getting a mini vacation with her hubby out of the trip. OnStage kicks off tonight with the CentreStage dinner, which is for Silver Elites and above. This is an event that all the “big name” Demonstrators attend. I’m certainly not a “big name” Demonstrator, but I work very hard to maintain this level so I can qualify for the event. And then the actual OnStage event will be just a one day, Saturday. This time around, we’ll get to see the brand new 2019-20 Annual Catalog. We’ll also get to play with some of the new products, see some stamping presentations, and learn some business tips. I love attending these events. I always come home re-energized and with lots of ideas. Plus, as an attendee, I will get the opportunity to purchase a few things from the new Catalog early, even earlier than Demonstrators that don’t attend. 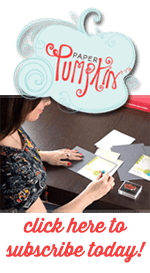 If you need some time away from your daily life, then you need to sign up to be a Stampin Up Demonstrator. There’s nothing like a crafty weekend away with your best friends. Some join to make money, and others just want a discount and time with friends. Both are great reasons to sign up. I’m always happy to welcome new team members. 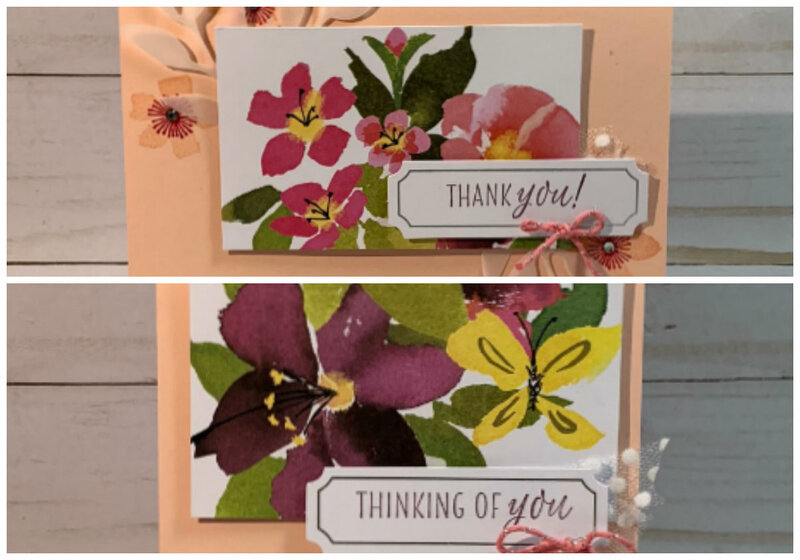 Today’s project is my March Customer Thank You card. If you made a purchase from me in March, either online or at an event, you should have received this card in the mail in the last couple days. If I missed you, message me and I’ll get another one out to you. This is a relatively quick card to put together. The background is stamped with the Crackle background stamp. I’ve found the best way to use background stamps is to use your Stamparatus. I always seem to end up with a section in the middle that didn’t get stamped. By using the Stamparatus, I can just re-ink the stamp and apply it again. If you missed out on getting the March Thank You, you still have time to get the April Thank You. Click on the Order Online button on the right and it will take you to my store. Don’t forget to take advantage of my Customer Special for April to get a little something extra from me.